Boldin Still On His Way Out of Arizona? Last week the agent for Anquan Boldin, Drew Rosenhaus, put it out there that Boldin still wants out of the desert and wants to be traded. The team really hasn’t commented on it as of yet, but there is no doubt that if Roy Williams got the Lions a first-round pick last year from Dallas, the Cards should get that and more for Boldin. 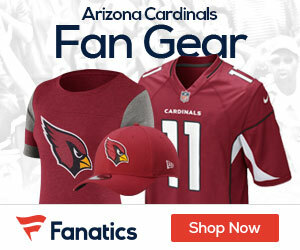 While it was no doubt a noble gesture by Cardinals WR Larry Fitzgerald to restructure his four-year, $40 million deal if it would help keep fellow WR Anquan Boldin on the team, we hear there really isn’t anything Fitzgerald could do except perhaps free up some cap space, which, in Arizona’s case, isn’t a problem. With that said, a trade of Boldin remains a much more likely scenario, with his agent, Drew Rosenhaus, doing everything in his power to grease the wheels.